Manufacturing activity in the emerging market economies as measured by the HSBC Emerging Markets Index (EMI) slumped for the third straight month. The index reading for February dropped to 51.1 which was the lowest reading since September 2013. The weakness was more from manufacturing as services improved slightly. The EMI is derived from HSBC Purchasing Managers’ Index reports in 17 emerging economies. A reading above 50 signals growth, while below 50 signals contraction. 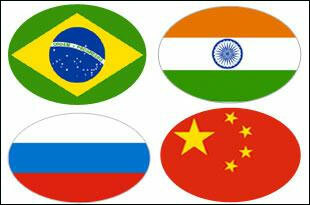 The emerging market economies have struggled to find a strong footing since the start of the year. China is looking at lower growth rates and a slowdown in the housing activity. Weakness in manufacturing data led the People’s Bank of China to cut its Reserve Requirement Ratio (RRR) to boost liquidity in the economy. India fared better than its counterparts with its EMI rising to 53.3 in January compared with 52.9 last month. Private activity in India expanded for ninth straight month even though the pace of expansion was weaker than the historical average. HSBC in its report mentioned that manufacturing output continued to rise faster than service sector activity at the start of 2015. With the government preparing for the budget to be presented on February 28, expectations are ripe that the ‘Make in India’ campaign would find considerable focus. The budget would also show the path for future rate cuts for Reserve Bank of India.